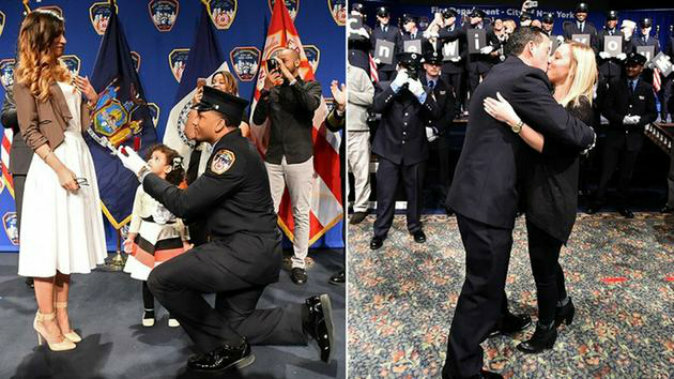 Two new members of Fire Department New York’s Emergency Medical Squad (EMS) celebrated their graduation on March 30—and just when things couldn’t get any more celebratory—they proposed to their girlfriends at the ceremony. “It was planned for 3 months prior to the actual proposal,” said Morales, adding that despite taking months to prepare for it, he was still nervous: “I just wanted everything to be perfect,” he said. His fiancé, Rosanna Gomez, thought he was going to give a speech for his squad. “But it was actually for her,” he said. Although Morales was looking forward to his graduation, he couldn’t stop thinking about what was going to happen right afterward. “I was more nervous about the proposal then my graduation. But that’s just because I always put her before myself. I really wanted it to be perfect in her eyes,” he said. And indeed it was perfect. His wife-to-be is still “speechless,” he said. Morales was on the streets working on his new career yesterday morning, “but I know if I was home, we would be talking about it all day,” he told Epoch Times. I was more nervous about the proposal then my graduation. Life couldn’t get any better for Morales: A fiancé and a new career: “This is the greatest job in the world,” he said. “We’ve been dating for 5 years,” Shane told the Epoch Times, referring to his fiancé, Corinne Hankey. It wasn’t a question of “if” to propose to her but “how,” Mezzacappa said. He figured why not “kill two birds with one stone” on his big special day. 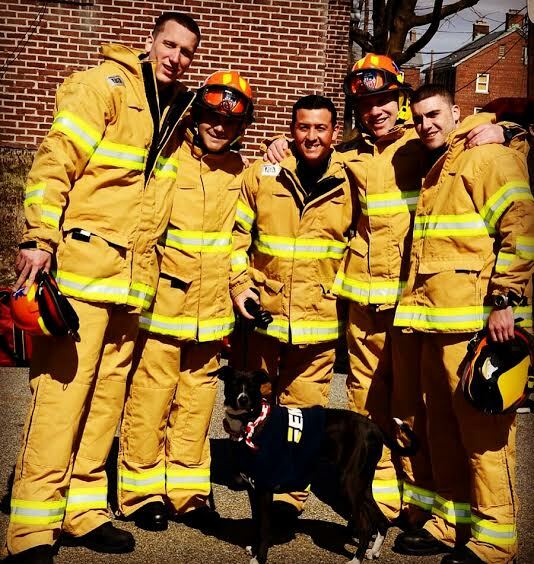 After the FDNY graduation ceremony ended, Mezzacappa orchestrated his fellow classmates from the academy to help him with the proposal. Mezzacappa said he grabbed Corinne by the hand, and walked her to the front of the stage to reveal what the cards read. Corinne will you marry me? Still, the proposal did not diminish Mezzacappa’s ceremony and the reason he was there. Both EMTs Morales and Mezzacappa started their dream job on Thursday, March 31—and their fiancees will be with them every step of the way.